Some donors help save lives. Egg donors help create lives. Egg Donation is designed to assist women who suffer from premature ovarian failure, poor oocyte quality, or diminished ovarian reserve due to advanced age, prior ovarian surgery, chemotherapy or radiotherapy. Additionally, this program may be an option for women with transmissible genetic disorders which may prevent the use of their own eggs. The Fertility & IVF Center of Miami introduced South Florida’s first Egg Donation program in 1992. 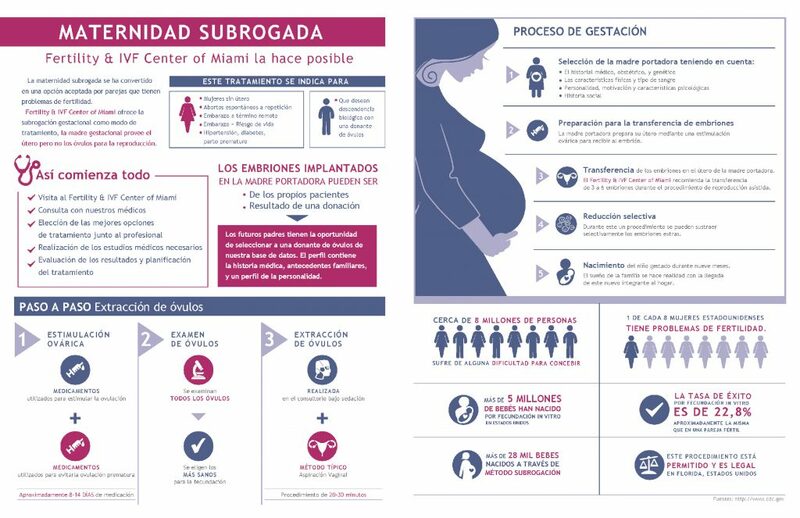 Since then, the Center has maintained excellent pregnancy results, and through continued recruitment efforts, has a wide variety of donors available, reflecting the cultural and ethnic diversity for which Miami is known. During the donation process recipient couples consult with a psychologist familiar with issues relating to egg donation and assisted reproductive technologies. Our Egg Donor Program nurses will guide the recipient couple through the selection process. The patient will meet with a nurse to review the characteristics they are searching for in a donor. Our donor database will be searched for matches and will provide couples with profiles containing medical history, family background, and personality traits. When needed we also work with both commercial egg banks and egg donor recruitment agencies to ensure meeting our patients needs. As leaders in third party reproduction services, the Fertility & IVF Center of Miami offers gestational surrogacy programs that have pregnancy rates exceeding the national average. Absence of or abnormal uterus. Men who want a biological child with an egg donor. This procedure is allowed and legal in Florida, United States.